We have practical proven strategies to help you to attract homebuyers, get maximum return on your home investment and have your home sold in less time with less stress. We also design floor plans for fix and flip or pre-constructions choosing finishes and decors for your new home. Whether you are selling, staying or dwelling, we can help to create the perfect space and provide the guidance in the comfort of your home. Simply click to book a session button below and fill out the form to schedule an appointment. We will have a brief chat on the phone or online at a mutual schedule time zone using, Zoom, Skype or Google Chat session. You'll walk away with tips and ideas to start your home selling process with our initial session. 15 min session follow up call to check progress within a week for additional questions. * Payment must be made prior scheduled session. This is the most recommended service which provides a starting point when preparing a home for sale. During this thorough consultation, you will receive our expert custom plan tailored to your specific property requirements. A Step by step to get your home started, prepare, stage and ready for the home market. We'll charge $100 for vacant property visit and viewing to compensate our time and service. Payment must be made before scheduled appointment. We do not provide packing or move heavy furniture for this service. Deposit required prior to scheduled service. We encourage you to visit our portfolio to view sample of our projects. Whether it's a condo, loft or luxury home or an estate, we give every property a personalized designer's perspective. We will assess individual homes with recommended strategies that will enhance and add visual interest to each space for proper presentation and maximize its value. These range from layout, floor, lighting, furniture choices, artwork to finishing touches. We will help you to coordinate through this process and refer sources that will prepare your home ready for the market, including renovations, photography, painting, landscaping and repairs if needed. Our projects starts at $2,800 + HST. 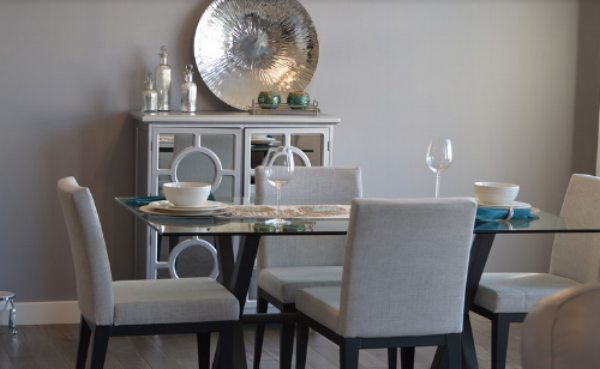 We take pride in customizing each property to match the caliber of your home's lifestyle design. We offer tools for you to incorporate into your listing presentation. Referral program available for valued clients and business partners. Please inquire for more details. Click here. Do you have a staging or design dilemma? Provide us a picture and try out Virtual Staging link. Whatever challenges you have, we are here help you to set a plan, get started to attract the right buyers for your home. WHY INVEST IN HOME STAGING services? Home Staging can maximize your home equity value in the shortest time. When it comes to selling, investing or renting your property, there’s one thing to keep in mind: people don’t buy or rent houses, they buy and rent "HOMES". Our goal is to make it easier and attract potential buyers for a faster sale.